Great story. Thanks for this. I remember *Complete Forth*, and I loved the idea of the language, but the Forth implementation I got for ZX Spectrum was really quite painful to use because everything concentrated on the language itself, not the operability. It wasn't very usable, or then the instructions weren't good enough for me to pick up. Thanks pjt - glad you enjoyed. Yes, Forth was (is) more programmer friendly than user friendly and in most Forth implementations the user interface was just a command line. It was a radical concept - the language interpreter/compiler *is* the operating system but - as you say - not user friendly. Thank you for such a great article. Fascinating. I have so many good memories of FORTH, I was spoiled and never really worked well with more elaborated obj. oriented languages. Amazing, so glad I found your blog. Thank you for a really excellent article. I'm sure I would have loved Forth, as "thinking in stacks" came pretty natural having used and programmed HP RPN calculators, but the lack of a good IDE on my system at the time made it a pain, so it was too brief an encounter. Your description of microcode as the magic that connects hardware and software is spot on. Learning about microcode and writing a minimal set of instructions was an eye opener for me, and necessary to really understand how a computer works. Hi. Old FORTHy here. FORTH has been my debug embedded tool of choice since about that same time, still have it embedded in my current C code. Very sharp tool - double-edged sword with no handle - concommittent of power. Though I'm moving to Lua now since I need other people working with me. Why did you spend all that effort on building your own chip when there was the Harris chip available at that time? Maybe not quite as fast in cycle clock, but encoded up to 3 words per instruction. We had it running a real time rendered valley scene with sunrise through sunset shading changes. With the video bit-banged in code. As its wallpaper. Thanks David. Yes, I've not programmed in Forth for 20 years - but have very fond memories of the language. Re your question. I'm pretty sure the Harris Forth chip wasn't available until 1988. I recall Harris licensed the Novix chip - the brainchild of Forth inventor Charles Moore. 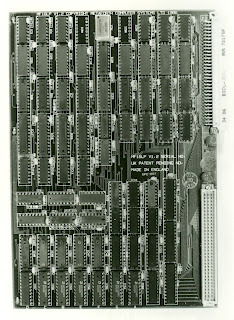 I recall the Novix chip was being talked about in 1986, but only as a prototype. We had been working on our MF1600 since 1984 (earlier if you count the bench prototype built in the Hull University electronics department). Great story. If someone made a TV series about engineers solving problems like this, I'd watch it. Much more interesting than a cop or lawyer show. I felt with a similar problem a couple weeks back, except that the chip refused to respond unless heated to 100C or so. Turns out that during the soldering process(we were using that board to learn how to solder BGA parts) the part had been overheated and warped ever so slightly, and only took on the right shape when hot. We decided to use leaded solder balls after that. Great story. It is amazing the methods we use for debugging when we really want to solve a problem. Spark (EMI) generators, heating and cooling. I love doing test setups to recreate that "one in a million" bug that just so happens to have occurred at a very important customers site. I have one for you. Recently, I was using at home an "ethernet over AC wiring" system. It allowed me to have a network over several rooms without relying on WiFi to do communication. My wife and I remodeled a small area, and ended up adding a dimmer switch for new lights. That area has some electronic equipment. The electronic equipment would work fine during the day, then just stop altogether at night. Finally, I realized that, to look at what was going on at night, I had to turn on the lights. Lo and behold, the dimmer was interfering with the AC ethernet system! I finally was able to take a laptop, hook it up to an Internet speed test site, and move the speed up or down using the dimmer! The solution was to replace all the dimming circuitry with DC instead of AC switches and lights. I love debugging. All the best. Rafael. Light dimmers, yeah. Nice mood effects but has an impact on your mood with all the faults they have. Not surprised you discovered this. They are also very unreliable. They often fail when a lamp goes bang. The newer ones which are suppose to reduce interference are complete rubbish. I also love debugging. Fortunately so. 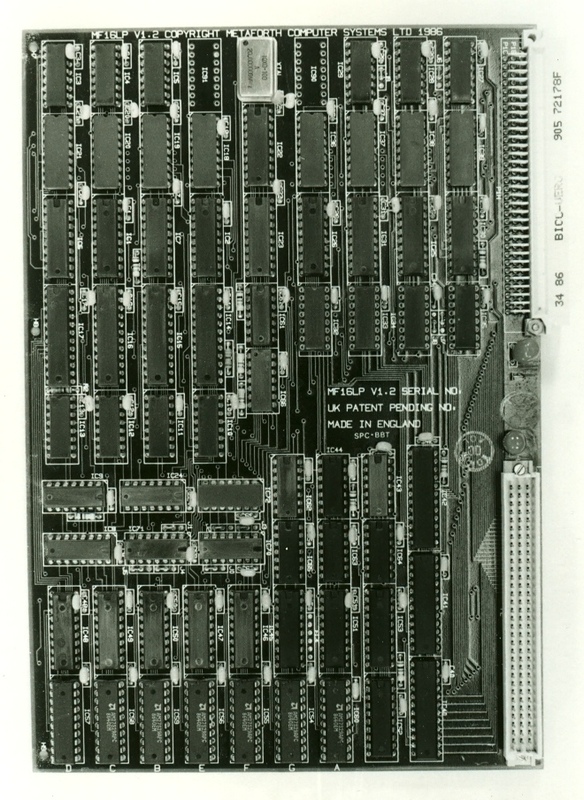 My first job was debugging room sized discrete component computers (Elliott 4130) as they rolled off the production line, all hand wired even. To my surprise I was a natural. It was the 2901 (IIRC?) that brought me to LA in the first place, in 1975. We had to replace the Data General Nova 1200 with our own because DG suddenly moved delivery dates out 12 months, and the 290x reference design implemented 1200 micro-code. Did the design, then everything changed and the project was dropped. I went on to do a lot of Z80 datacomms products, including the first explicitly named Stat Mux. Can you spell "critical section"? Apparently, at that young age, I could not, not perfectly. Mostly, but not perfectly. 3 years after our product launched we got a bug report from a warehouse that they were losing 6 or so pick tickets a day. I spent two days sitting on the floor there with an HP logic analyzer (1615 - remember it? Still have one in a closet somewhere) hooked up to the CPU busses before I found it. Two lines of assembler needed protecting. The window was so tiny it had never been hit before. But this particular use involved sending ticks to the printers continuously, all such messages were the same length, and this resulted in a resonance effect such that the offending interrupt wandered around within a few tens of microseconds around the open window. Which story, btw, is why I am a fervent believer in debugging Real Time systems by observing them behav-ing, rather than using debugger and breakpoints, which only leave you a post-mortem. Sadly, todays' system busses bear little resemblance to the actual code execution path so logic analyzers are no longer useful this way. Which us why I moved on to embedding FORTH in my systems. I could explore what needed to be watched without have to stop and restart the system. And FORTH is exceedingly light-weight in both footprint and execution, yet one of the most flexible down at that level of anything else. Just obscure. Did making (loop) and other complex branch constructs single instructions really save that much? But I do love a good debugging story and this was an interesting scenario described. Thanks. ..and why was the test rack running so hot? :) Just kidding.. great story. Whenever you think you've got it rough, just imagine Charles Babbage doing arithmetic on a mechanical computer the size of your bathroom. One time I was trying to get an optical fiber network to work right. Every so often, around 4 pm, it wouldn't. Took a while, varied from box to box but not the time of day. Finally realized it was the red dust covers over the second relay connector set. It was a nice early spring in Redondo Beach and we tended to have the lab door open for the evening breeze, and the sun was shining through them and putting a DC offset on the pipes. Switched to all black covers and the problem went away. Thank you for sharing this great story! I think it is through such debugging sessions, trying to find such non-trivial bugs, that one gets a much "deeper" understanding of the entire system.